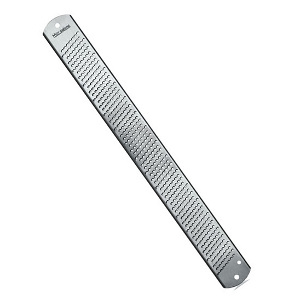 The Microplane® rasp was first invented in 1990 by brothers Richard and Jeff Grace at their jointly owned contract manufacturing facility, Grace Manufacturing Inc., in Russellville, Arkansas, USA. Microplane® tools' tiny razor-like edges are formed by a totally different process called photo-etching in which holes are dissolved with a chemical, leaving edges that finely slice instead of tearing or shredding. "Microplane® Tools are better because they are sharp yet safe. Try one and expect a Miracle!" This premium spice grater features a soft-touch handle and tackles even the hardest spices like nutmeg with ease. 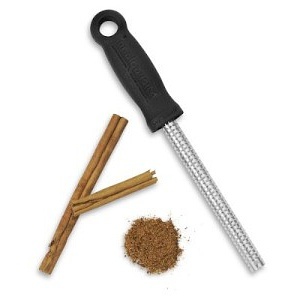 Ideal for grating a touch of fresh cinnamon or chocolate over the top of your hot drink. 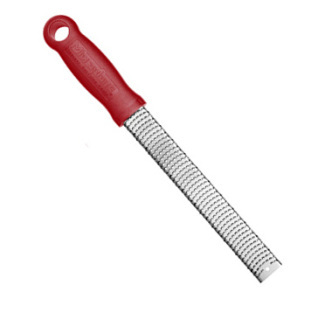 The Perfect Tool to easily and safely grate mounds of fluffy fine Parmesan and other hard cheeses for cooking, baking and garnishing at the table. 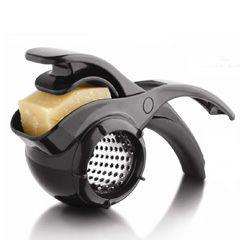 Featuring the same advanced blade engineering that has made Microplane graters must-have kitchen tools by chefs around the world, the new Parmesan Rotary Grater's barrel-shaped "star" blade is specially engineered for superior results and long-lasting use without dulling. One drum included. Dishwasher safe. 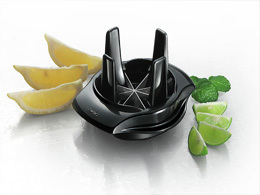 Want a slicer that gives you even slices of lemon or lime for your appetizers or drinks? Made of stainless steel blades that cuts into 8 wedges. Dishwasher and food safe.